Spam is a widely publicized Word among the internet user But Actually what is spam ? Today I am trying to find the answer of the of the question what is spam.It is seen many more definition of this spam.Normally we can say that Spam is flooding the Internet with many copies of the same message,in an attempt to force the message on people who would not otherwise choose to receive it. Spam is any kind of unwanted online communication.The most common form of spam is unwanted email.You can also get text message spam,instant message spam(sometimes known as spim),and social networking spam.Some spam is annoying but harmless.However,some spam is part of an identity theft scam or other kind of fraud. Identity theft spam is often called a phishing scam. Spam is the use of electronic messaging systems to send unsolicited bulk messages indiscriminately.While the most widely recognized form of spam is e-mail spam,the term is applied to similar abuses in other media: instant messaging spam,Usenet newsgroup spam, Web search engine spam,spam in blogs,wiki spam, online classified ads spam,mobile phone messaging spam,Internet forum spam,junk fax transmissions,social networking spam,television advertising and file sharing network spam. It is named for Spam,a luncheon meat,by way of a Monty Python sketch in which Spam is included in almost every dish. Gmail's spam filters also work in your IMAP client by automatically diverting messages that are suspected of being unwanted messages into Spam and keeping them out of your inbox.Google works hard to improve the user experience by identifying spam links and other practices that negatively impact search results.The best types of links are those that are given based on the quality of your content. A 2011-2012 Cisco Systems report shows spam volume originating from countries worldwide. Rank,Country and % of spam respectively. 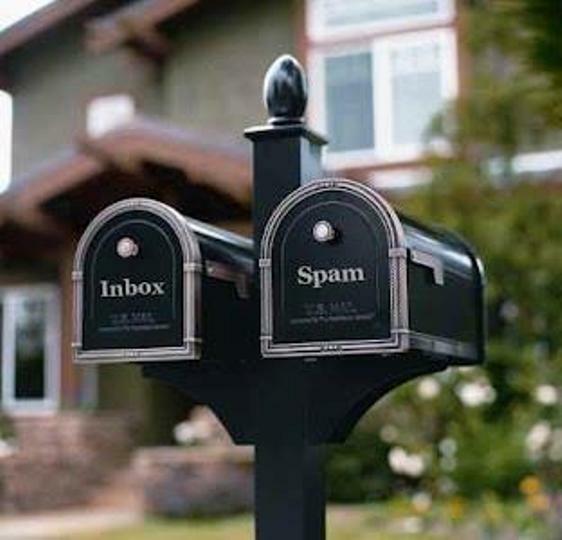 Most spam is commercial advertising,often for dubious products,get-rich-quick schemes,or quasi-legal services.Spam costs the sender very little to send,most of the costs are paid for by the recipient or the carriers rather than by the sender.There are two main types of spam,and they have different effects on Internet users. Cancellable Usenet spam is a single message sent to 20 or more Usenet newsgroups.Through long experience,Usenet users have found that any message posted to so many newsgroups is often not relevant to most or all of them. Usenet spam is aimed at"lurkers",people who read newsgroups but rarely or never post and give their address away.Usenet spam robs users of the utility of the newsgroups by over whelming them with a barrage of advertising or other irrelevant posts.Further more,Usenet spam subverts the ability of system administrators and owners to manage the topics they accept on their systems.Email spam targets individual users with direct mail messages.Email spam lists are often created by scanning Usenet postings,stealing Internet mailing lists,or searching the Web for addresses.Email spams typically cost users money out-of-pocket to receive.Many people,anyone with measured phone service,read or receive their mail while the meter is running,so to speak.Spam costs them additional money.On top of that,it costs money for ISPs and online services to transmit spam,and these costs are transmitted directly to subscribers.One particularly nasty variant of email spam is sending spam to mailing lists(public or private email discussion forums. )Because many mailing lists limit activity to their subscribers,spammers will use automated tools to subscribe to as many mailing lists as possible,so that they can grab the lists of addresses,or use the mailing list as a direct target for their attacks. Bulgaria is the first and until now only one to legalize it.According to the Bulgarian E-Commerce act,anyone can send spam to mailboxes published as owned by a company or organization ,as long as there is a"clear and straight indication that the message is unsolicited commercial email"in the message body.To protect yourself against email spam,use email software with built-in spam filtering.For more information,keep spam out of your inbox.